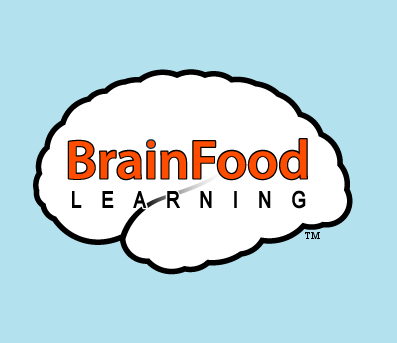 BrainFood Learning, don't you just love that name! It makes me feel smarter just reading it! I wish it were that easy, but with BrainFood Learning you can feed your brain by watching an exciting and educational video. We chose The Fascinating World of Insects for our review video. They also sell the Fascinating World of Birds and the Fascinating World of Mammals on DVD for $14.99 each. These videos are a perfect video lead in to a study on Insects. It is 43 minutes in length. The video takes a look at several insects including the firefly, water strider, praying mantis and rhino beetle. Showing real life footage and a variety of the species, all ages will enjoy the filming of the various insects. There is a review section at the end, starting easy for the young viewers. It goes over each insect and repeats it for the viewer to answer. Then there is a multiple choice section in review #2 to choose which insect it is showing. Review #3 discusses parts of the ant body. Review #4 has multiple choice questions about facts about each insect. These facts were so fun to learn and test each other on. Review #5 goes over the vocabulary words that are highlighted throughout the show. This was a bit tougher for my young ones, but was a great review for my 11 year old. My 5 year old learned a lot from the video and by the end was able to name each insect. 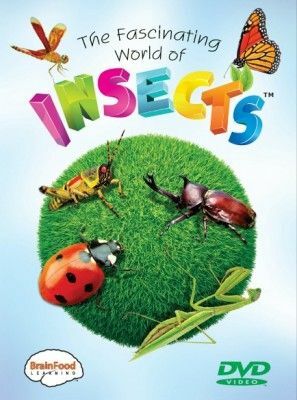 The show motivated my children to get outside and look for insects after we watched the DVD. We looked for signs of pollination among the flowers. The blackberry bush was teaming with insects! 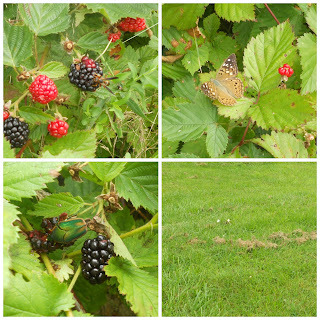 We found butterflies, wasps and those not so nice japanese beetles. Canyon trapped a butterfly, and even had one land on his hand. My 11 year old has always been interested in insects and has quite the collection. It was fun to hear about the rhino beetle as he has a hercules beetle in his collection. He knew much of the information already, but still enjoyed seeing the insects. This dvd was not specifically Christian in nature. There was no mention of the creator of the insects. It was however free of any kind of evolution type of information as well. It would work great for all groups both homeschool and public school in regards to teaching about insects. See what my Crew Members thought of the DVDs on insects, birds and mammals by clicking on the link below. This is really cool my kiddos would definitely be interested!